Border Policemen stationed at Me’aras Hamachpelah in Chevron on Monday arrested two Arab suspects who attempted to penetrate the security system and enter the compound while circumventing the security checkpoints. 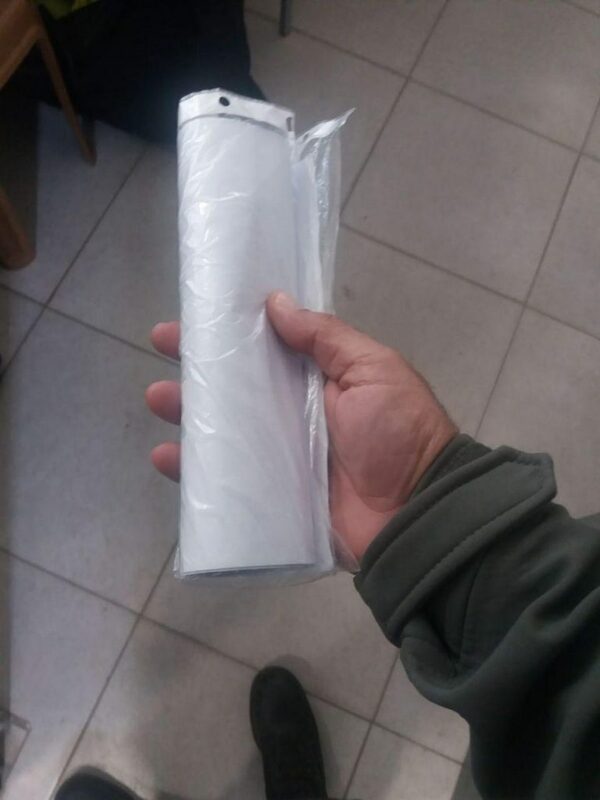 One of the Arabs was found to be carrying a knife wrapped in papers. According to the police’s statement, Border Police officers noticed the two moving near one of the inspection posts at Me’aras Hamachpelah as they appeared to be searching for an unsecured entry point. The two, brothers aged 18 and 19 from the Arab town of Yatta near Chevron, were arrested for questioning by the security forces and their motives are being investigated. “Thanks to the alertness of the forces, an event which appears to have been an infiltration attempt to Me’aras Hamachpelah and even a possible terror attack was thwarted,” the police stated.